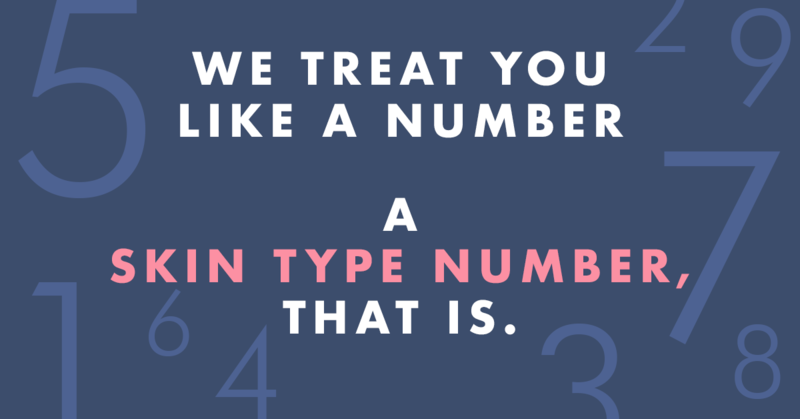 When it comes to bumps on your skin, it can be difficult to know what they are because there are so many possibilities. But knowing what you’re dealing with is an important first step and will help you determine the best course of treatment. 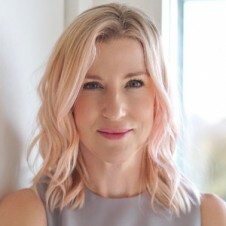 In this post, I talk about four types of skin bumps I see most often: Milia, closed comedones, skin growths, and skin tags. I also talk about how to identify each of these as well as possible causes and recommended treatments. All four types of bumps share one common characteristic: they are considered non-inflammatory lesions, meaning there is generally no infection present. This means they usually don’t go away unless removed, which is why people often have them for long periods of time. If a bump becomes red, inflamed or painful and comes and goes, it’s likely a type of blemish. Milia are hard, tiny bumps on the skin that appear when keratin and hardened oil get trapped below the skin’s surface. 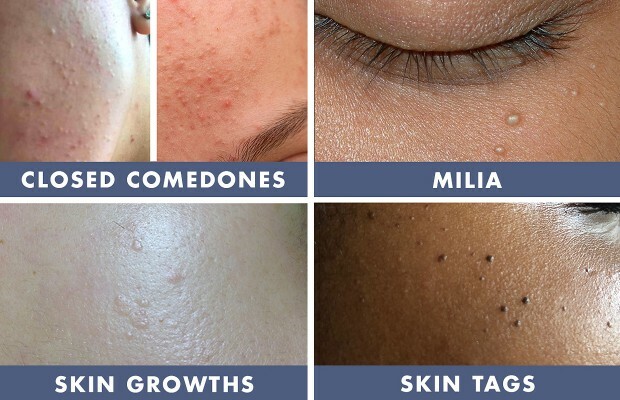 Milia are round and, because of how they look, are sometimes described as tiny “pearls.” The hardened oil gives them an off-white color in all skin tones, and they appear most commonly around the eyes, nose, and cheeks. Because milia sit under layers of hard, keratinized skin, they generally never come to a head. This means you can’t easily remove them on your own, so you should NOT try to extract them yourself. You’ll only end up damaging your skin. Instead, have them removed by a licensed professional. Whether this is a dermatologist or an esthetician will depend on which state you live in. Certain states won’t allow estheticians to pierce a client’s skin, in which case you would need to visit your derm. Once you find a licensed professional, they will likely remove the milia in one of two ways: manual extraction or electric cauterization (I promise this isn’t as scary as it sounds). To manually extract milia, a professional will pierce the bump with a lancet then gently squeeze to physically extract the hardened oil. When using an electric cauterizer, the bump will also be pierced with a small needle, but the oil and keratin will be dissolved by heat instead of extracted. A third option for milia removal is cryotherapy, which involves freezing milia off using liquid nitrogen. Gentle exfoliation. This will prevent dead skin cells from trapping oil and keratin under the skin’s surface. If you don’t already exfoliate your eye area, you need to. This Overnight Eye Serum is formulated to gently but effectively remove buildup from around the eyes. It will also minimize dryness and fine lines and will allow your eye cream to work more effectively. Avoid heavy creams, especially around the eye area. All of these eye creams are lightweight so as not to block the pores. 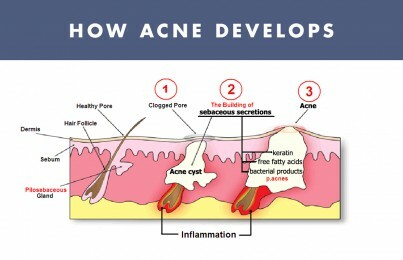 Closed comedones, also known as comedonal acne, are considered non-infected, clogged pores. They appear as white bumps on the skin and are often what clients are talking about when they complain about their skin’s texture. Closed comedones are not as round or firm as milia, but when left untreated they also tend to hang around without resolving on their own. Closed comedones can eventually turn into inflamed pustules or papules (inflammatory acne), as you can see happening a bit in the photo above. This happens because oxygen can’t get into the blocked pore, which creates the perfect environment for bacteria to thrive and create an infection. 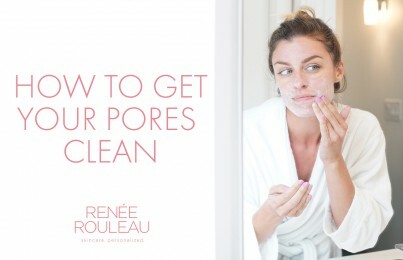 Get the pores cleaned out through manual extraction — Ideally, you would see an experienced esthetician about performing a deep-pore cleansing facial with extractions. The key to successfully removing them is to use a lancet to pierce the skin so they can easily be popped out. However, you can also try removing them yourself at home. 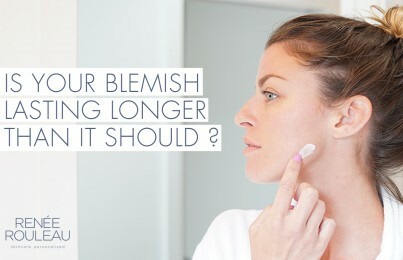 Use exfoliating acids — Once your pores are cleared out, start using a serum with salicylic acid (BHA). Since it’s oil-soluble, it can penetrate the pore lining better than other type of acids. If you have clogged pores, I highly recommend Pore + Wrinkle Perfecting Serum or BHA Clarifying Serum. Stop over-drying your face with harsh acne products — Using products with strong ingredients like benzoyl peroxide can help dry out some of the oil below the skin’s surface and make comedones appear smaller. That being said, it leaves behind loads of dry cells on the skin’s surface, which can actually trap impurities and lead to more clogged pores over time. Extractions are the best way to treat closed comedones, but you’ll have to stop using drying products and start gently exfoliating away dead skin cells before an esthetician can access your clogged pores during a deep-cleansing facial. Use exfoliating acids — Again, salicylic acid (BHA) is best because its oil-soluble properties allow it to effectively penetrate the pore lining. Use retinoids (Vitamin A) — While I don’t recommend retinoids for inflammatory acne, they can be a good option for those with hyper-keratinized skin. Differin Gel is a prescription-strength retinoid that is now available over the counter. It is helpful for treating closed comedones and can be a great long-term strategy to keep pores clear, because it encourages faster cell turnover. If you decide to go this route, read my Beginner’s Guide to Retinol and Retinoids to avoid unwanted side effects. Skin growths are bumps on the face, neck, and body. They are usually benign (non-cancerous) and often begin as small flat or rough bumps. At first, these growths might be mistaken for clogged pores or breakouts, but they will never come to a head and cannot be extracted since there is no oil in them. Treating them with acne products will only result in dry, irritated skin. Skin growths typically start to appear around age 35 and become more numerous as we age — at almost age 50, I’m getting lots of them for sure, especially on my back. Over time, skin growths get thicker and larger, eventually turning into skin tags or a number of other skin conditions: seborrheic keratoses, hyperkeratosis, actinic keratoses (pre-cancerous cells) and sebaceous hyperplasia, to name a few. As you can see in the picture above, they can be either flesh-colored or darker than your skin. They can also assume a number of different shapes and textures. Skin growths are generally made up of excess skin or enlarged oil glands and appear as raised bumps that are impossible to hide with makeup. As I mentioned, most of the skin growths I discuss here are benign. That being said, it’s very important to keep an eye out for anything new or changing. Always schedule regular skin cancer check-ups with your dermatologist and, when in doubt, get it checked out. Because skin growths tend to grow and get thicker over time, it’s best to have them removed early on while they’re still manageable. Always have them removed by a dermatologist, don’t try to remove them yourself. In my experience, some dermatologists may not want to remove benign growths since they aren’t life-threatening. If this is the case, you may need to insist on having them removed by explaining to your doctor that you don’t want raised bumps on your face. You may also want to have your doctor remove just one to see how your skin heals before getting more of them removed. The method of removal will depend on the type of growth, but common methods include cryotherapy, electric cauterization and manual removal with a scalpel. Since many of these growths are caused by a thickening of the skin, regular use of both exfoliating acids and retinol will help minimize the formation of skin growths. Because UV damage can also be an underlying cause, you’ll want to wear a lightweight but effective sunscreen every day. Skin tags are one of the most common types of benign skin growths. They are soft, fleshy pieces of skin that are usually connected to the skin by a small stem. Skin tags are made up of regular fat and tissue and can be flesh-colored or can become darker than your skin, especially if there is no blood supply to the skin tag. Although they can appear anywhere, skin tags are often found around the eyes, under the arms or on the neck. Some skin tags may fall off on their own but most of the time, they must be removed. This can be done by an esthetician or a dermatologist. The most common methods of removal for small skin tags are cryotherapy and electric cauterization. If the skin tag is larger, your dermatologist may use a local anesthetic followed by manual removal with scissors or a scalpel. If the bumps are red and painful and come and go, then they are likely blemishes that appear as “bumps” during the early stages. Start using Anti Bump Solution the minute one of these shows up to shorten its life cycle. If you have bumps on the backs of your arms and legs, it might be Keratosis pilaris. KP, like many of the bumps in this post, is caused by hyper-keratinized skin. Finally, if you have little red, infected bumps on your face, you might have acne cosmetica. my dermatologist told me I have milia, the only difference is they are soft not hard..I usually get these when I apply a facial moisturizer. I tried your recovery lotion and unfortunately my skin reacted to it (in the process of returning lotion). I’m not sure what to use at this point as I have very sensitive skin on the dry side and at 52 yrs old not having much luck finding a moisturizer that works for me. Hi Tania, I suggest trying our Sheer Moisture Lotion instead. It’s a step up in hydration from the Skin Recovery Lotion and is formulated to calm sensitive skin: https://www.reneerouleau.com/products/sheer-moisture-lotion. Hope this helps! Thanks for this important blog. I hope it’s very helpful for Milia affected men or women. I have read your post, and I have on my left side of face these bumps which are described as Cysts. I had this happen in my younger years, but now they are enlarging. UGLY! I need to know how to remove them from my face without infecting the rest. if you can state what this is, you can tell me how to get rid of them. Many people have this problem I’m reading. I know it’s not a skin tag. It looks like a white mole. Brown didn’t develope. Thank-you for your time in this message. If they are sore and painful, then more than likely they are cysts, however that doesn’t sound like what you’re describing. It sounds like it might be some skin growths that are getting bigger with age. I recommend you start by seeing a dermatologist to see what they are and they can recommend a treatment for safe removal if you want to get rid of them. I have found I can gradually destroy these by dabbing salicylic acid wart remover on them. I’ll be 37 this year and I already started noticing new bumps on my face. I’m glad I read this post because I was starting to freak out about where they were coming from. I’ve done exactly what you say other people do…I’ve picked at them, tried to use a million different products to make them go away, but they are still there. I’ll be sure to use your Glycolic Serum that I have here a little more often now!